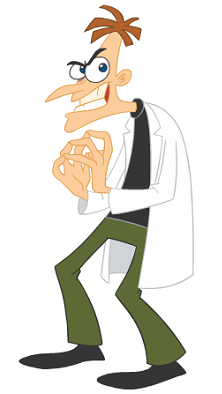 A nice example from #Disney is Dr. Heinz Doofenshmirtz, in the toon "Phineas and Ferb". He is the only #hacker who actually want to change the world (for the worse, from the O.W.C.A. perspective). Phineas and Ferb, despite being just as smart as him, are deeply integrated in the mainstream vision: each morning the world is just like the day before and they are fine with it. Ferb is the ideal #SV #engineer: he's smart and do what others want.